The restored and rehabilitated Carver Power Plant, once an empty industrial building, became the focal point of the city's Centennial Hall, a new community facility in the heart of the historic downtown. Steamboat Springs, Colorado (population 6,700), was first settled in 1874. This remote northwest region of Colorado had long-served as the Ute Indians’ summertime hunting grounds. Later, trappers and mountain men pursued small game to sell the hides to the fur traders. Legend has it that French fur trappers thought the spring along the Yampa River sounded like a steamboat. In 1875 James Crawford arrived with his family to file a homestead claim and establish what would become the town of Steamboat Springs. Rugged homesteaders soon followed to raise cattle or sheep. Others established businesses or worked in the nearby gold and coal mines.Settlers were drawn by more than 150 thermal mineral springs in the vicinity, and by the early 1900s the town also become a center for winter sports. The town remained isolated until the arrival of the Denver, Northwest and Pacific Railroad in 1908. The rail line from Denver across the Continental Divide enabled year-round transportation of livestock and coal as well as passenger travel. The railroad still transports coal from the region. Today the Tread of the Pioneers museum educates visitors and residents about the local history of Native American Utes, explorers, traders, prospectors, and pioneers, as well as the development of the ranching, mining and skiing industries. 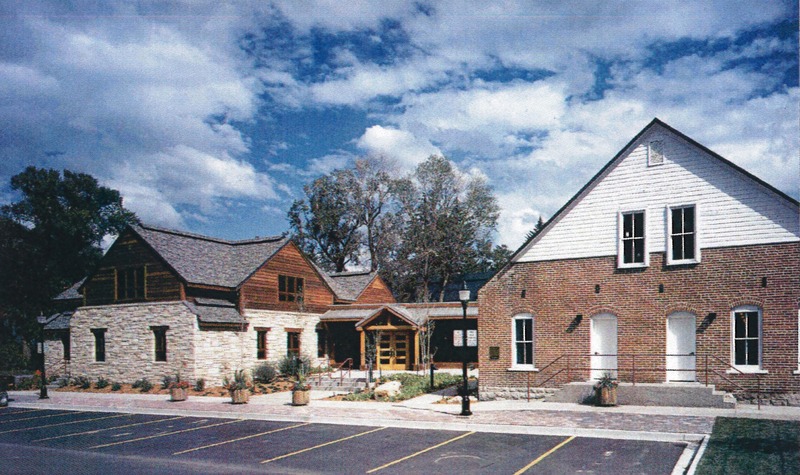 This community museum receives approximately 20 percent of its budget from the city through a line budget item, and an additional 50 percent of its funding from dedicated property tax revenue within the city. The museum hosts educational programs throughout the year, focused on school children as well as the public. Steamboat Springs has been very active in preserving and restoring important historic buildings through public/private partnerships. An outstanding example is the restoration and adaptive reuse of the Carver Power Plant, an empty industrial building, as the focal point of the city's Centennial Hall, a new community facility in the heart of the historic downtown. This project created needed community office and meeting space, provided space for a new café, and enabled the city to visibly promote historic preservation in the community. Partners included the city and county governments, non-profit organizations, the Colorado Historical Society, the Orton Family Foundation, and many citizen volunteers. The Rock Creek Stage Stop, once listed on Colorado Preservation, Inc.'s most-endangered places list, is another local asset that has recently been saved through concerted action. The city has collected survey information on approximately 256 buildings in the core commercial and residential area of historic Old Town, as well as many surrounding ranches and their historic structures. This data is integrated into the city's Geographic Information System database, enabling cost-effective information access for planning and educational purposes. Each of the city's master planning documents includes a section on historic preservation, illustrating the city's commitment to preserving its cultural, historic, and architectural heritage as a source of civic pride and an essential component of encouraging tourism and economic development. Designated a Preserve America Community in January 2004.